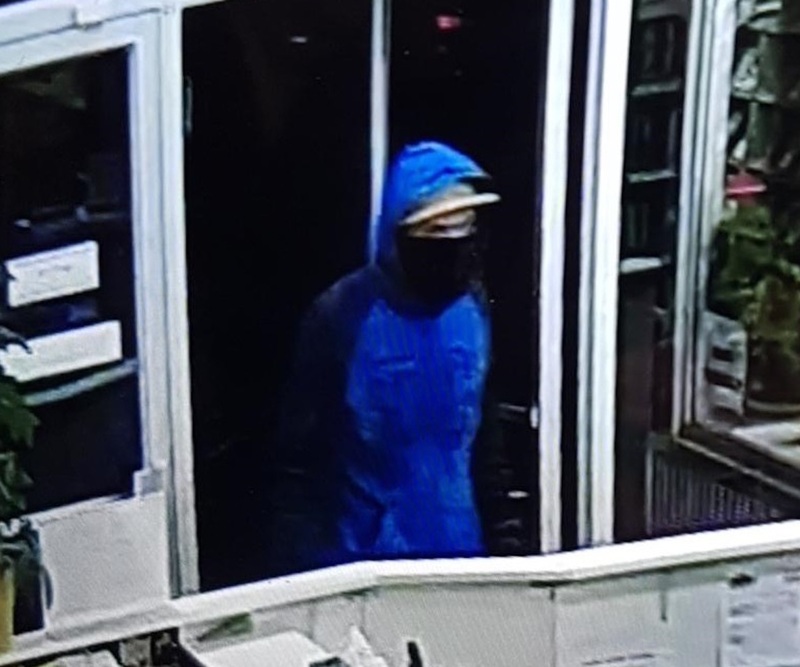 Kamloops RCMP are asking for the public’s assistance in identifying a man who robbed the Movie Mart. Thursday night, Jan. 10, at 8:50 p.m, a man entered the Movie Mart in the 300 block of St. Paul Street. Police say his face was covered and he was carrying a knife. He jumped over the counter and had the employee open the cash register. He took money from the register and left the store heading west on St. Paul Street. The clerk was not injured. Wearing: blue baseball cap with an orange brim, a black bandana, light blue hoody with black sleeves – with a large DC logo on the front), black sweat pants and blue and black gloves. If you have any information about this suspect, contact Kamloops RCMP at 250-828-3000 or, if you wish to remain anonymous, contact Crime Stoppers at 1-800-222-8477.